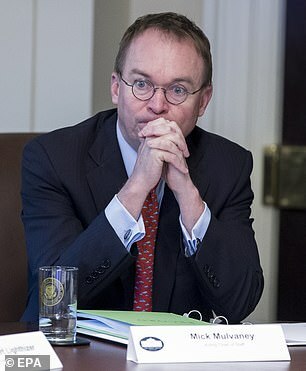 President Donald Trump humiliated his new White House Chief of Staff, Mick Mulvaney, in front of Congressional leaders during talks to end the government shutdown, it was reported on Sunday. 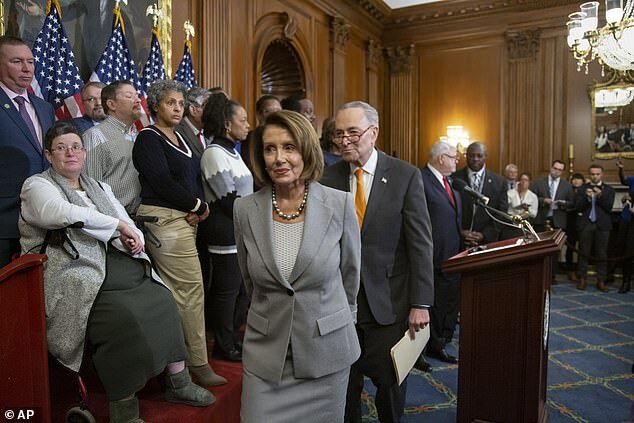 The incident took place toward the end of a meeting inside the White House Situation Room on January 4, between Trump, House Speaker Nancy Pelosi and Senate Minority Leader Chuck Schumer, Axios reported. 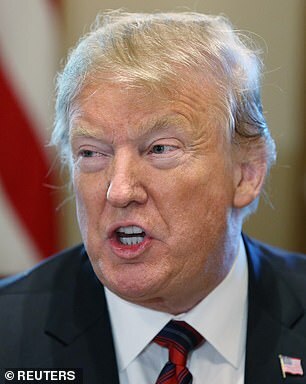 Trump was quoted as saying, ‘You just f***ed it all up, Mick,’ after the Chief of Staff interjected during negotiations with the lawmakers over the president’s demand for $5.7 billion to build a border wall. Trump has yet to reach an agreement with congressional leaders over funding his border wall, fueling a partial government shutdown that will enter its 24th day on Monday and saw many federal workers missing paychecks on Friday. The longest previous shutdown lasted for 21 days under President Bill Clinton at the end of 1995 and beginning of 1996. During the January 4 meeting, Trump is said to have reiterated his demand for funding, even after Vice President Mike Pence asked Democrats for less than half of that amount – proposing $2.5 billion be earmarked for a border wall. 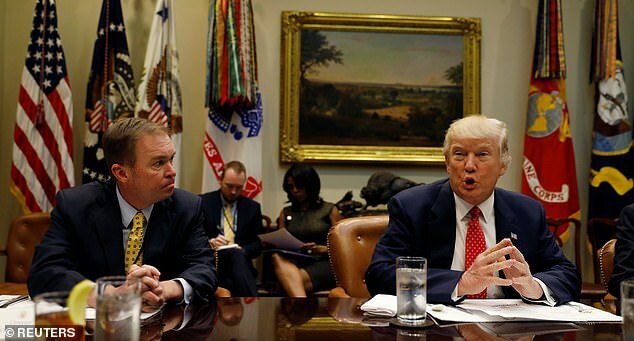 Sources told Axios that Mulvaney then interjected, proposing a compromise sum somewhere between what Trump wanted and what Democrats were offering, which was $1.3 billion. At that point, the President abruptly cut off his aide, saying, ‘You just f***ed it all up, Mick,’ according to a source. ‘It was kind of weird,’ the source said of the comment. Axios reported that it confirmed the President’s comments from another source who was in the room, who said Trump seemed to be annoyed at Mulvaney’s style of negotiating. 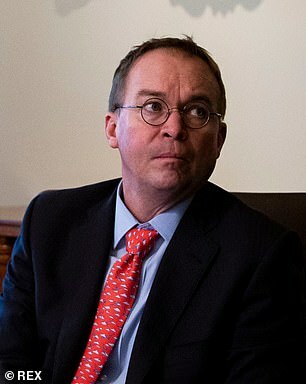 After John Kelly resigned from the position, Mulvaney was named the acting Chief of Staff at the end of 2018. Mulvaney still holds the title of director of the Office of Management and Budget. While he remains acting Chief of Staff, OMB Deputy Director Russ Vought will carry out the day-to-day tasks of that office, Press Secretary Sarah Sanders said in December.